My fondest memories of growing up in Saratoga, surrounded by a remnant French Prune orchard, have to do with experiencing the seasonal rhythm of the fruit trees. I vividly remember the excitement of early spring blossoms arriving with their sweet fragrance and pristine beauty. I was drawn to them like the bees. While the orchard was muddy and heavy work to walk through, tall mustard beckoned us to play and the fruit began to form on the trees. I was always a little sad when the tractor came through the neighborhood to disc the orchards and the bright yellow mustard flowers were turned under the clay soils. But then Spring turned to summer, the fruit grew and deepened in color, and it was time to pick. I can still hear the loud hum of insects and remember the hot air out in our orchard that made you feel dreamy while we picked the warm, sweet fruit. We were gentleman farmers at best but even so there was an abundant yield from these ancient trees. With the fruit, we made jams and pies and occasionally set up a table on Highway 9, a short walk from home, where we sold prunes by the pound and persimmons for 25 cents each, as much for fun as something for us kids to do. Fall brought colors to the orchard leaves, smoky evenings when piles of pruning’s were allowed to burn, and then by November, the rain, wind and chill brought an end to the orchard year. What I didn’t know back then, was that our two-acre property was part of the Glen Una Ranch, which was the world’s largest prune orchard at the turn of the twentieth century. 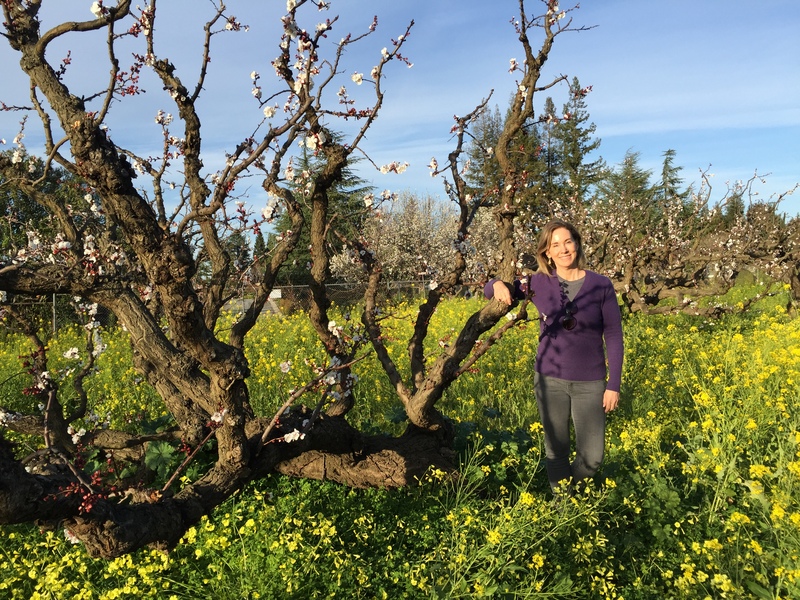 In fact, Saratoga’s first Blossom Festival was held at the Glen Una Ranch in 1900, and this year, 116 years later, I’ll participate in my first Blossom Festival, sharing some Apricot treats and information about this blog and the Apricot Cookbook-to-be. 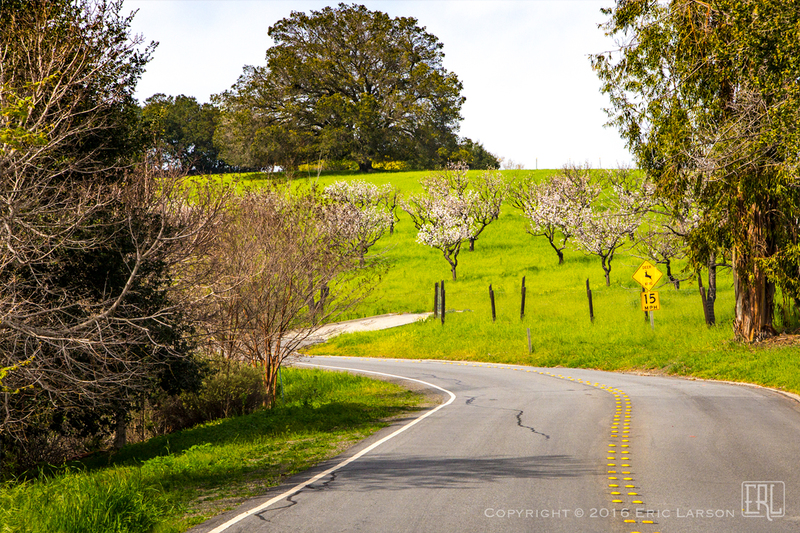 Arriving in the Santa Clara Valley in the 1960’s from Washington State, our family was part of the post-war growth that led to orchards being bulldozed for suburban tract housing. By the time the pattern had become endemic, the environmental movement was born and there was a collective sense that something profound was being lost. I felt this loss deeply as year by year, the fruitful landscape of Saratoga was plowed under for housing. So much so, that I was drawn to study and develop a career in environmental planning. I earned a degree in Land Resources Planning at Stanford which led to my first job after college with a small non-profit organization called “People for Open Space”, an environmental group dedicated to establishing a regional greenbelt around the Bay Area to preserve close-in farmlands, watersheds and recreation areas. The organization has made significant progress over the past decades, educating a generation of environmental activists and civic leaders, and today is known as the Greenbelt Alliance. So much of the rich topsoil (as deep as 60 feet) of the Valley of Heart’s Delight has been paved with urban development. Today, there are only a few remaining family farms dotted around Santa Clara County. In Saratoga, the Novakovich Orchards has been located on Fruitvale Avenue since the 1920’s. In Morgan Hill, Andy’s Orchard expanded from the family’s earlier holdings in San Jose and specializes in heirloom and newly propagated varieties of fruits. 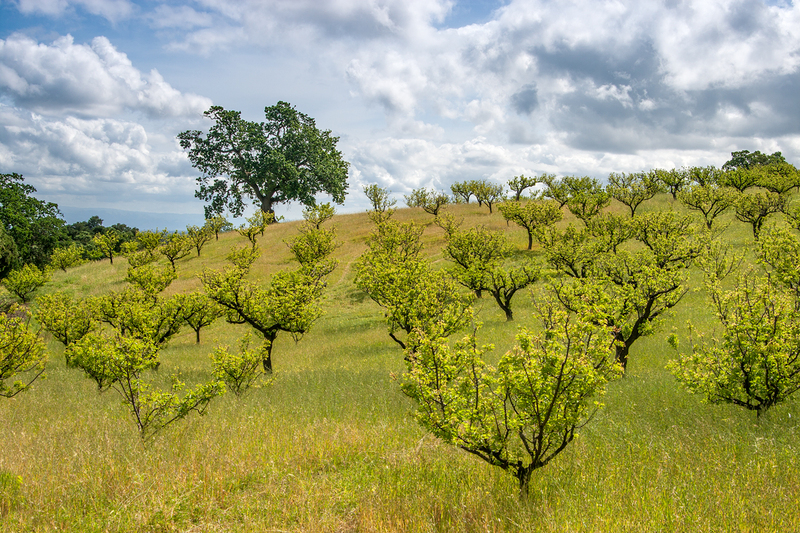 Over the years as orchard lands disappeared, many cities, including Saratoga, Sunnyvale, San Jose and Los Altos have established “Heritage Orchards” that help us remember and continue to enjoy the orchard traditions of our area. But even these publicly-owned orchards are vulnerable to growth pressures and private family-owned farmlands are especially at risk. 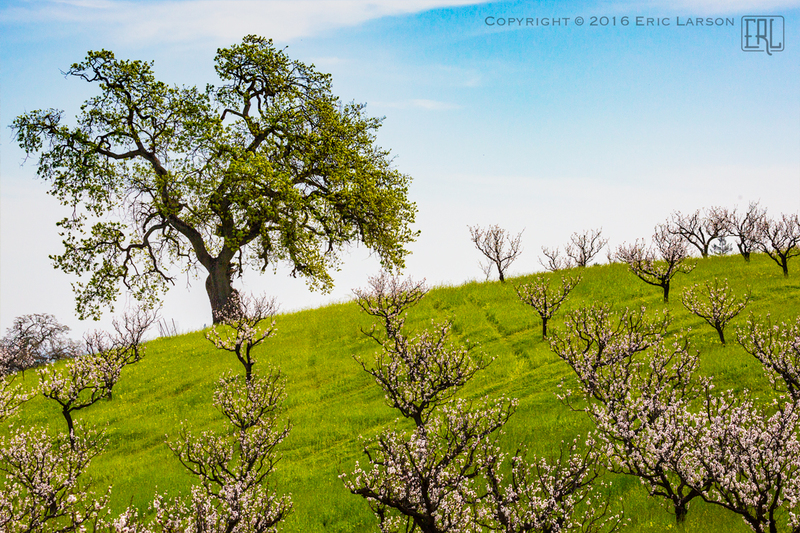 In recent weeks, we have read about Morgan Hill’s plans to annex and develop farmlands and orchards. 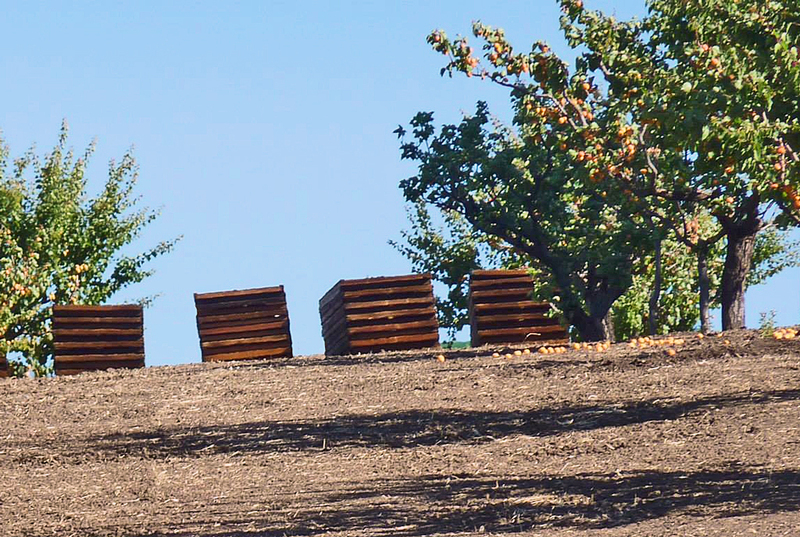 Los Altos had given thought to tearing out part of their Heritage Orchard to make room for a school – fortunately this was voted down by the City Council after consideration of concerns raised by a coordinated group of local citizens. And even when these pressures can be held at bay, I find myself wondering where will the next generation of orchard farmers come from? Will the current farm families be able to entrust their acreage to the next generation? 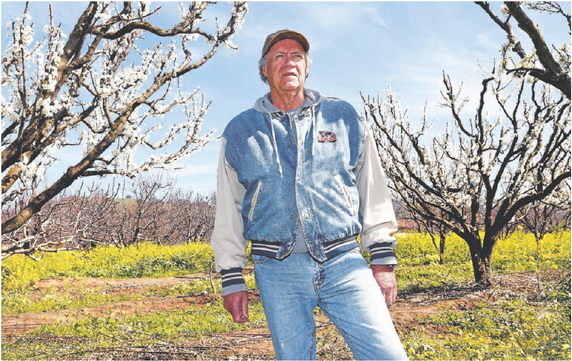 The farmers I have gotten to know while developing For the Love of Apricots are nearing retirement and as Andy Mariani, who has devoted his life to cultivating apricots and many other fruits and orchard products in Morgan Hill, has said, “I don’t have a 401K”. Santa Clara County has grappled with this question in recent hearings but there are no easy answers. 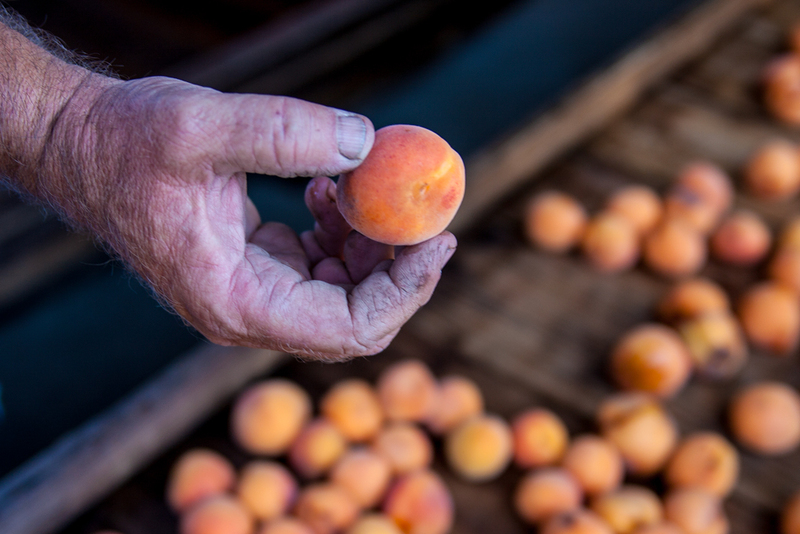 In addition to my love of cooking and baking with apricots, this struggle of my generation to preserve agricultural lands in the Silicon Valley and around the Bay Area, is one of the strong motivations behind creating an Apricot Cookbook – to appreciate and remember our agricultural heritage, the extraordinary variety and quality of fruit that is still grown close by, and support the remaining orchards and farmers that, hopefully, will find a way to continue for another generation. Yes your blog is my window into this delicious world, and although there are apricots in Europe, here in Hungary they are still rare. Italian apricots are imported. Because I do love them so much, as memories of the small juicy apricots trees in Marin, remain fresh in my mind, I have planted 5 trees in my small orchard, along with the apple, cherry, and walnut ( yes, and plums). But what information really got to me, is your personal history to Santa Clara county and the Glen Una Ranch; your destiny to work for environmental protection and the decency of nature. People for Open Space, I remember that…you are part of that. Wonderful. What a great blog, Lisa, beautifully written and such vibrant, gorgeous pictures! I was a year behind you in school, and you and I were in a play in Jr. High at Redwood together–I can’t quite remember the name of it though. Mr. Potts was our drama teacher and the director. I grew up in Saratoga, too, first on Woodside Ct. from age 8 months to 10 years and then up in the Foothills on Sarahills Drive from age 10 onward. We rode our bikes on a diagonal path through a large prune orchard to swim at the Brookside Club when I was a kid. I remember playing in the houses being constructed in more prune orchards–one is a home built in 1966 where I live now, not far from my childhood home. On Sarahills Dr. our second family home was built on the crest of a hill and our back hillside was covered with apricot trees. We picked the apricots each summer from the aging trees and dried them and my mom made jars of apricot syrup. Those trees would be over 100 years old now. Thanks for sharing these memories, Sue, including our 8th grade play! It was called “Young, Willing and Able”. I hope we can share more memories sometime soon, including how you used the apricot syrup! Glad you could remember! We poured that wonderful thick, fruit syrup–the texture was like pureed apricots–on pancakes and waffles. Mom had an extra freezer where we could store some of it and where it could keep that bright orange color–yum! Really enjoyed reading your Orchard Rhythms past and present. Such beautiful prose and remembrance of yesteryear’s orchards. You have a strong knack for romanticizing something that was a big part of all our lives growing up in Saratoga. That type of natural beauty is never appreciated enough, especially in our current day computer driven Valley. Love to hear more… makes me crave apricots just reading your thoughts. Great photo of you next to the tree by the way. Keep up the great work, and hope to see you and taste your apricot creations sometime soon. Go Girl, Love all the great and fond memories of growing up in Saratoga. I wrote a paper in college on how our forefathers should have planned the community to build in the hills and leave the flatland for farming. Got a good grade on that one. We have our memories and they are very good ones. Thank god that a few holdouts like the Novakovich family are keeping the memories a reality. I am a very bad facebooker but I will look for your blog. Your journey through your childhood memories makes me think that you were actually cut out to be, not an environmentalist, but a farmer. An even more honorable profession. Apricots are my favorite fruit. I grew up in Sunnyvale with the very best apricot tree on this Earth! 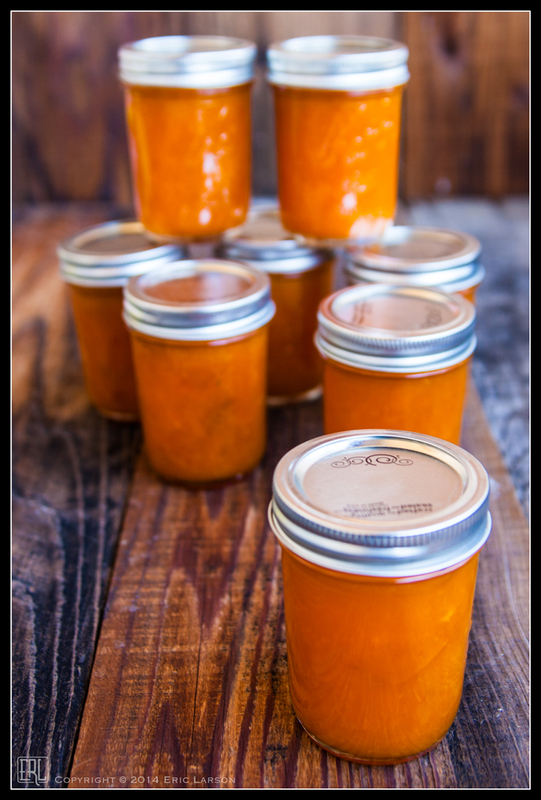 Still remember drying apricots, canning apricots, eating apricots, and making pies and jams with my mother. And of course giving lots away. Wonderful childhood memories! Thanks, Lisa for keeping these memories alive for so many of us! Thanks Lisa. I really enjoyed your reflections on living and growing up in the Valley in the 60’s. I moved to Saratoga with my family in 1963 and roamed far and wide through the walnut and apricot orchards of Saratoga and Cupertino. Keep up the good work and I look forward to hearing more from you! I love this new site Lisa — congrats on bringing it to “fruit”-ion!! Having also arrived in Saratoga with my family (in 1964) I have so many fond memories of growing up in/next to a walnut orchard. Now that we’re learning about the health benefits of walnuts I’m wishing, in retrospect, we’d eaten more of them. Quite bitter out of the shell as I recall or maybe it was just a kid’s taste buds. Anyway, can’t wait to see — and taste — more from you! It was very interesting for me to read about your arrival in Saratoga in the 60’s and how your experience of the landscape there influenced your future direction in life. 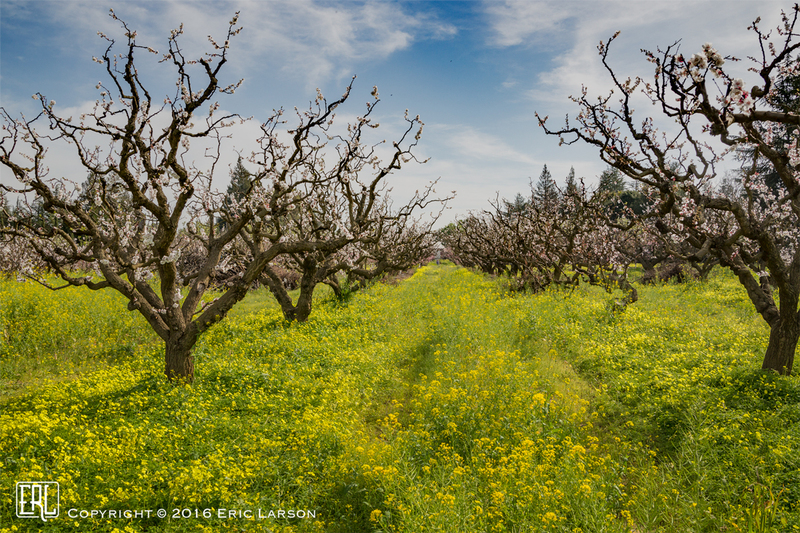 I too came to Saratoga in the 60’s and was fortunate to be able to see some of the of the few remaining orchards there. I look forward to reading more from your blog about your upcoming cookbook. Lisa thank you for sharing your history and passion for the fruit orchard. As a novice orchard grower, I can’t wait to see more articles from you and I await your recipe book. What a beautifully written blog. It brought back memories of our own apricot laden trees and the sweet smelling of canning. It also reminded me of our later treks to Brentwood to pick our own. Sadly, so many of the orchards in Brentwood are now paved over. I can not wait for your cookbook! Thanks Kristi! Your support is wonderful and you’ve been an enthusiastic taster of my recipes — more to come!